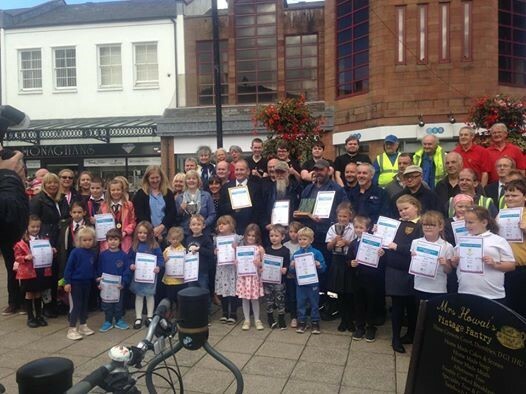 The Crichton Trust would like to thank and congratulate The People’s Project and Dumfries and Galloway Council and everyone who contributes to keeping Dumfries and Galloway in full bloom each year and for their recent success in winning awards for the town. 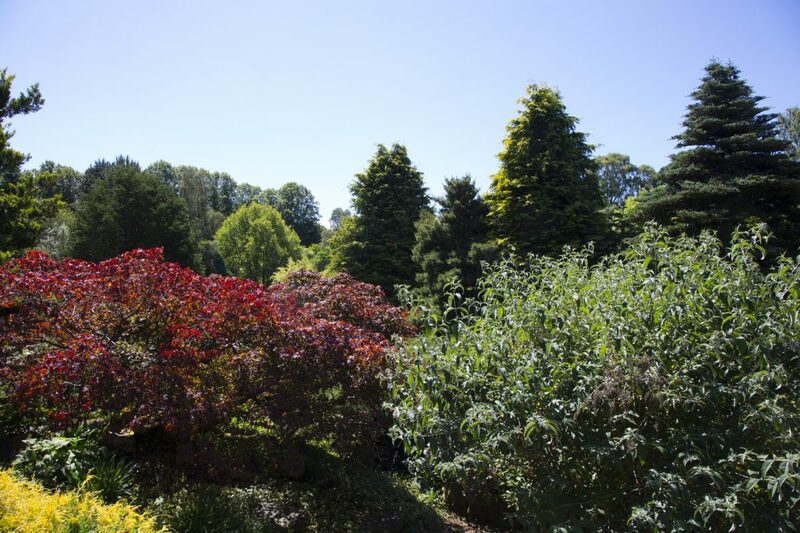 The Crichton Trust is delighted to have supported their efforts and to have welcomed judges to The Crichton Gardens again this year as part of the judging process. The People’s Project were delighted that Dumfries received not only the top ‘Large Town’ in Scotland award at the Keep Scotland Beautiful dinner in Haddington on September 6th, but they were presented with Gold for the second year in succession. In addition, Dumfries and Galloway Council were awarded the prestigious Royal Caledonian Horticultural Society Award, with the judges praising the amazing work of head Council gardener Brian McAvinney. At the end of the evening, there were 5 communities in Scotland in the running for the coveted top prize of the rose bowl , who had scored 180 points or more. Dumfries received 185 out of a possible 200, but were pipped at the post by St. Andrews. The People’s Project are indebted to many different groups and individuals who did so much to blow the judges away, who were amazed at the community effort in such a large town. The Town Centre Ambassador Lorraine Wilson along with Anne Simpson coordinated the year round events, which included the planting of rare trees in the Dock Park and the Whitesands flower tub competition which many of the local schools were involved in. Lorraine and Anne would like to thank all the pupils and teachers who gave of their time, and particularly the schools which were visited by the judges. The People’s Project would like to stress that despite winning this coveted award, there is still much that can be achieved, and we believe that having forged a strong partnership with the Council, that more groups and individuals can come together under the umbrella of The People’s Project to improve the town for everyone. In a time of restricted budgets, Councils across the UK have been forced to admit that they cannot possibly perform the same duties for less money, and so they must rely on community groups and individuals to help them. Carrying out litter picks or removing vast tracks of weeds from pavements can be very satisfying, and perhaps we just need to look at all that bending and stretching as a free yoga class in the fresh air, with the added satisfaction that everyone of us can make a massive difference to our own locality. In the meantime, let’s start talking up our town because after all, according to the independent opinion of the experts, – Dumfries is the best!